Baeza and its UNESCO twin-city Ubeda are considered to be Spain's best examples of Renaissance town planning. They were both extremely prosperous during the 16th century which led to them competing to build better Renaissance buildings copying the Italian fashion. Baeza showed off its wealth with beautiful public architecural works like the posito a public granary and the alhondiga a corn exchange. Today it's a joy to wander around the narrow, sometimes cobbled streets and exclaim at yet another incredible piece of architecture. I personally prefer Baeza, being smaller and more charming, to Ubeda which is larger and more grandiose. As they are only about 7km apart you have to of course visit both. This building above is the loveliest Tourist Office I've come across so far. Narrow, cobbled streets with interesting buildings and unusual features. City walls and entrance arches. Where to Stay in Baeza? 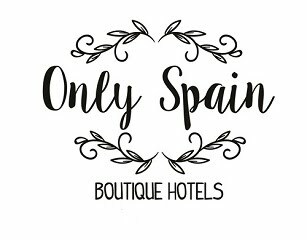 Down one of the quaint narrow streets near the cathedral is my favourite hotel in Baeza Hotel Puerta de la Luna this link takes you to my Only Spain ~ Boutique Hotel site.